naxos-hotel.com makes every effort to ensure that the description and content on each page of the site is correct. It does not however take responsibility for mistakes, omissions that may occur due to human, data entry errors, or incorrect information provided by the accommodation providers or for any loss or damages that may occur due to wrong information. naxos-hotel.com is not responsible for the content of the external URL links. 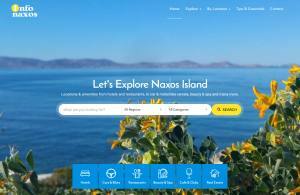 naxos-hotel.com provides visitors with information related to travel & holidays on Naxos Island in Greece. By using this web site you agree to these Terms and Conditions and you expressly consent and agree to be bound by the terms that govern this web site.